First of all, if you are visiting 5CT for the first time, welcome! I hope you enjoyed the Eggs 1DS, and I hope to have more food quizzes on LearnedLeague soon enough. Thorsten, no pressure, but the people want me to have a MiniLeague. As revealed last Friday, I’ll be in Italy next week! In an effort to brush up on what the hell will be going on, I finally talk about Italy on the 28th stop on the World Wednesday Gondola. As you might imagine, there’s a bunch of things we could talk about for this quiz. 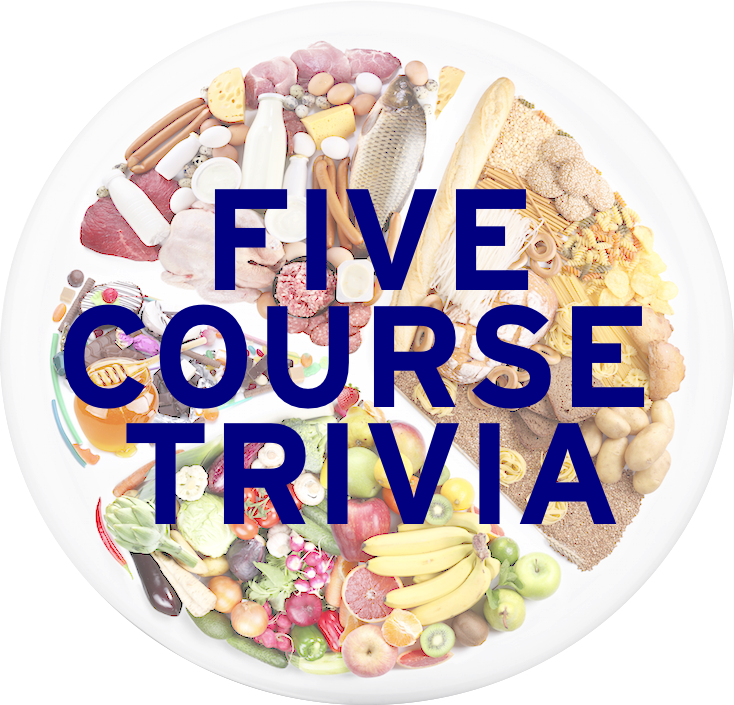 In an effort to make it semi-organized, this quiz will use the basic meal structure seen in Italy. 1. Aperitivo – Name this apéritif, probably first created in Florence in 1919, made from gin, vermouth, and Campari. 2. Antipasto – For your appetizer, name this dish consisting of grilled bread with garlic, olive oil, and salt, and usually topped with tomatoes, vegetables, and cheese. 3. Primo – The first course of an Italian dinner usually consists of pasta. Besides pasta, what’s the other main ingredient in pasta e fagioli? 4. Secondo – The second course features the meat and potatoes of the dinner, which by I mean the meat. Originating in Milan, name this cross-cut veal shanks braised with vegetables, white wine, and broth. Its name means “bone with a hole”, referring to the marrow hole found in the center of the shank cut. 5. Contorno – A vegetable plate to help you digest that meat. What’s the main ingredient in the Sicilian dish caponata? 6. Dolce – Something sweet! Stracciatella is a variety of gelato, where shavings of what have been mixed in with standard gelato? 7.Caffè – Coffee. Caffè corretto is a drink that contains a shot of espresso with what other ingredient? Grappa and sambuca are Italian examples of this ingredient. 8. Digestivo – Another drink to round out the meal. Name the liqueur being poured in this photo.